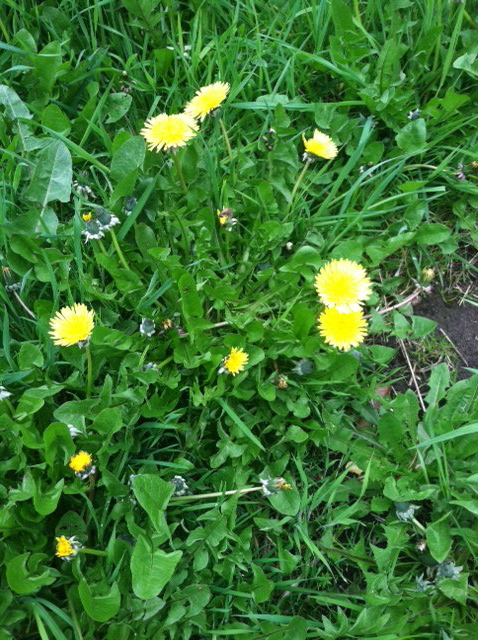 A couple of years ago, I saw an article in the Mother Earth News Magazine titled, "The Ten Worst Weeds to Have in Your Garden." To be perfectly honest, I didn't read the article. I think I felt somehow it would just infuriate me to read about weeds and how bad they are. But then I got inspired and I told myself I would write a piece on "The Ten Best Weeds to Have in Your Garden." This is it. This is a good year to praise the weeds, since my garden is rewilding and and so am I. I have always loved the marginalized ones, the one who somehow because of who they are, are just not normal enough to be talked well about. I realize that many of you reading this article love the weeds as much as I do. I just felt it was time to boast about those wonderful plants that don't like so much to be cultivated. I actually planted the self heal in my garden. And we do have some native to Western Washington that grows around Whidbey Island in the grasses. Strange and wonderful thing about this plant is that it isn't growing at all where I planted it. It is growing in the path and around the post that holds the garden gate. Self Heal is written about in many herbals, long descriptions of the incredible healing benefits of this plants. And...I don't hear of many people using it. I am told it has more anti-oxidants that any other plants. I read that it will cure herpes. Absent of taste or smell for most senses, self heal is a power plant. It is related to the root chakra, a connection with the source of who we are. I like to think of it as the grandmother of lavender. In our garden, its stalks come up around where the Lavender Provence is. People have often mistaken it for lavender. We harvest the leaves for salad and in the early summer the flowers as well. This plant's wisdom is a welcome member in my garden. Oh, the dandelion. What a precious plant. Years ago, Tadd and I were living in Burien, WA near the sea. Our landlord was determined to poison the Dandelion. He sprayed the lawn with some kind of toxic something. One morning I woke up and look out the window to see the dandelion had returned and was blooming all over the place. This is one of the things about this plant that makes it a vital part of any garden, its tenacity. It blooms all year, with the most blossoms in late March through April. The tender leaves in spring are welcome additions to our salads and now, in late summer, the leaves are thick and very bitter. This is when I make tincture with dandelion leaves for a bitter tonic. And in early autumn, the inulin (the starchy substance) in the root is abundant. Dandelion Root vinegar makes a wonderful tonic for enhancing your gut flora. Dandelion is here in our country because wise women, leaving Europe, put the seeds in their pockets so that they would not be without this plant. So grateful for the abundance of Dandelion. I dreamed long ago that plantain can heal anything, that it is the only plant we need. Well, I love this plant. The smell reminds me of my childhood. It is the bee sting plant. Take some leaf, choose it up and put it on a bee sting and the pain goes away instantly. It works for insect bites of all kinds too. It will draw out what is not needed and help to heal wounds very quickly. It is a vital addition to any salve for diaper rash and chronic skin conditions. We also cut the plantain leaves in early summer and add them to our salads. I have heard that you can stall an allergic reaction with plantain tea or tincture, and that it is a remedy for excess mucous in colds and will help to heal connective tissue. The seeds are full of protein and can be gathered and sprinkled on your salad, soups and breakfast cereal. Plantain is a plant that grows on the edge. It won't grow in a garden bed for long, it has to grow in the paths and it loves to be stepped on. I welcome plantain to my garden path. In the heat of summer, chickweed is pretty scarce in our garden. This plant loves cool and wet climate and thrives in the spring when it rains all the time. We love this plant in our salads and eat as much as possible. One of the things that chickweed has helped me with time and time again, is to heal my eyes. Sometimes, I get a little scratch in one of my eyes or have some kind of irritation and I pick some chickweed, wash it and squeeze it to release the juices and I use it as a poultice on my eyes. Healing happens very quickly. Also, chickweed has been known to reduce ovarian cysts. This is such a beautiful thing about this plant, that it is a nourishing salad green and it can heal a challenge that is very strong. This star lady is a wonderful addition to our garden. We love this plant because it is sour. The children who come here have been known to kneel in the grass and eat and eat of it. The sour indicates that it has vitamin C in it. It does have oxalic acid in it, but this can be neutrilized with vinegar. I have heard that this plant is one of the ingredients in Essiac Tea. That would be a good research project. Sheep Sorrel, we love you in the garden. Right now I have a bouquet of burdock leaves and flowers on my table. The purple flowers are beautiful in the summer time. The way we use this plant in salads is to make an herbal vinegar from the root in early autumn. Like dandelion, burdock is rich in inulin, especially in early autumn. Called the most yang of all plants, burdock connects us with the deep, dark mystery. Healing for liver and skin, it acts slowly, making sure healing is substantial. About six years ago, I chose sow thistle as my ally for the year. I let this plant grow all over my garden. Well, there were times that I wasn't sure it was a good idea. Sow thistle was everywhere. And when it began to go to seed, I had my reward, goldfinches were everywhere too. Sow thistle leaves are rich in minerals. If you have the variety that has smooth-sided leaves, you can use them in your salad and also in your soups. The flowers are tasty, looking like a dandelion. (Make sure you don't mix it up with hawkweed, which has very bitter, nasty-tasting flowers.) Because of the mineral content, Sow thistle is a wonderful plant to choose to infuse in vinegar. I love to see this plant amongst the cultivated plants. The first time I heard about this plant, I learned that it grows well with zinnias and enhances their growth. I was living in Seattle at the time and so I let my lamb quarters go for it. Later I learned that it is a wonderful salad plant. But the best news that I have gotten about this weed is that you can steam it and eat it as a cooked green with vinegar. I would say that lamb's quarters is the best cooked green I have ever eaten. Harvest it while you have a chance, as it will starts to flower soon after the days start warming up. The seeds can then be added to your mixes for grinding flour. Another good plant for vinegar because it is so rich in minerals. Lamb's Quarters. I look for you every year and am so satisfied when I find you in my garden. Once you have violets, violas and pansies in your garden, you are so blessed because they will return year after year. The mineral-rich leaves of violet are so good in salad and can be dried for a protein-rich tea. We love the violas and pansies in our salads. These plants are blessings, pure and simple. I am fortunate to have nettle as a weed in my garden. It likes to live over in the corner near the barn. Though a powerful plant, nettle doesn't take over spaces so much. In the spring, we harvest the nettle leaves to make vinegar, and we harvest lots of nettle leaves and stalks to hang and dry. We also, harvest nettle for soups, stews, quiches, lasagne and whatever else we can think of. This plant is the reason I am an herbalist. I have written many things about nettle and the transformation she offered me. 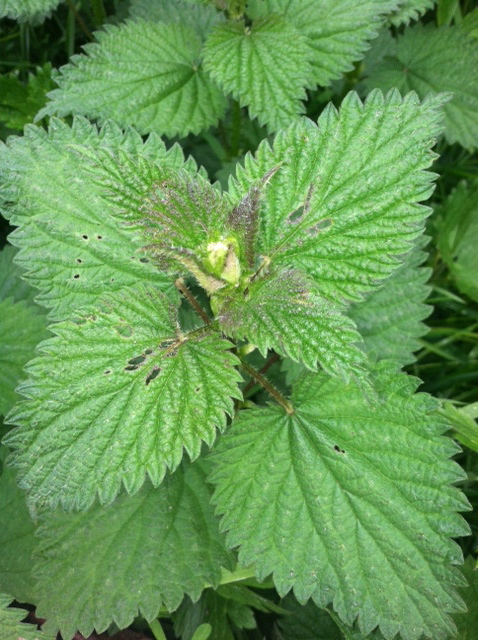 Nettle is the plant of change. Long ago, nettle awakened a cellular memory in me that I am an herbalist. I would not be here writing and teaching and living and loving the plants without nettle. Blessed Be! Time to go outside and see what weeds you have in your garden. Make sure to identify well so you know each on is edible. There are so many other weeds too, so many. What are your favorite garden weeds? Thanks, Anita....there are so many plants to choose from. I had a hard time getting it to 10. You really have milk thistle as a weed in your garden, very fortunate. We aren't allowed to grow that is Washington State....but when I was at a students house and in her garden, we found a little milk thistle weed growing. We were so excited.